Shares in Saudi blue-chip banks surged in early trade on Tuesday, while materials and real estate companies dropped as most Gulf stock markets opened lower. Among the biggest gainers on the Saudi index were financial firms Alinma and Samba, which rose 1.1 and 0.5 percent respectively. Banks reported lower deposits in their second-quarter earnings, released over the past couple of weeks. But because demand for loans is also low, there is little risk of a funding shortage. Real estate company Jabal Omar lost 0.5 percent and petrochemicals giant SABIC dropped 0.2 percent, capping gains on the Saudi index, which opened just 0.1 percent higher. Investors have been cautious about valuations for top companies in the Saudi market in recent months after a near 15 percent rise in the index so far this year. A 2.0 percent drop in Dubai Investments, which reported a fall in second-quarter net profit on Monday, weighed on the Dubai index, which opened down 0.4 percent. 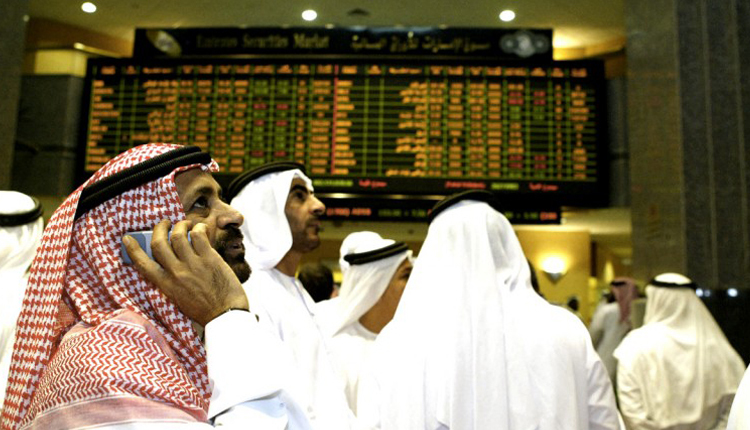 The Abu Dhabi index opened down 0.2 percent. Fund managers’ confidence in United Arab Emirates stock markets is returning after being damaged by the planned liquidation of Dubai-based private equity firm Abraaj, a monthly Reuters poll showed on Tuesday. Qatar’s index opened up 1.0 percent, continuing to rebound from early losses on Monday after telecommunications firm Ooredoo reported a 60 percent decline in second-quarter net profit. Kuwait’s index was down 0.9 percent.